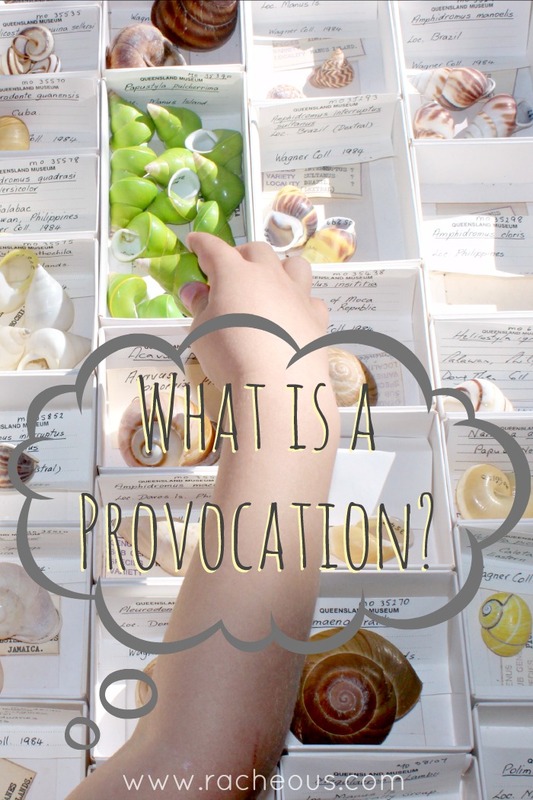 When it comes to the Reggio Emilia approach, what is a provocation? Provocations can be as simple as a photo of a rock sculpture next to some pebbles or as elaborate as a table with an assortment of recycled materials next to a book on robots and resources to make upcycled robots. Often though, provocations are simple and displayed beautifully to provoke interest. Similar to strewing, they are usually created as an option, not as a premeditated activity. Love your enthusiasm but it is my understanding, after many years of study of the preschools and infant-toddler centres in Reggio Emilia, that “provocations” that are optional or not premeditated is an interpretation that is common in the US. When in Reggio, or when hearing educators from Reggio share work- there is always intention and a great deal of thought and planning that connects what they offer, the provocations, to work that is going on in the school. As Amelia Gambetti often asks when hearing of” provocations” in our schools- where is the teacher? I worry that US educators misunderstand the idea of provocation and therefore are not sure what to do other than offer “free explore.” Of course, this is my interpretation. Vea Vecchi’s book The Art of Creativity may be helpful in exploring this concept. Love this as well! Patty Randall, I agree! I teach K-1 at a Reggio Inspired school in the US. All of my provocations are intentional and come from what is observed or shared through documentation and reflective meetings. I think she meant the outcomes have options- where many Americana exercises have predetermined outcomes like “we are making a rainbow and this is an acronym for rainbow.” Where a provocation, as you described, is deeply intentional but does not have particular outcomes. If an interest in rainbows came up a provocation could offer very intentional, particular supplies to explore rainbows with however- the child could end up exploring something very different. Lovely post! Provocation does sound like strewing. I’m not sure which one of those I’m doing but we have interesting things all over our tables which lead to fun discussions, experiments, etc. What’s up, I check your blog regularly. Your story-telling style is awesome, keep doing what you’re doing! Me encantan las provocaciones de raggio son muy ininteresantes.